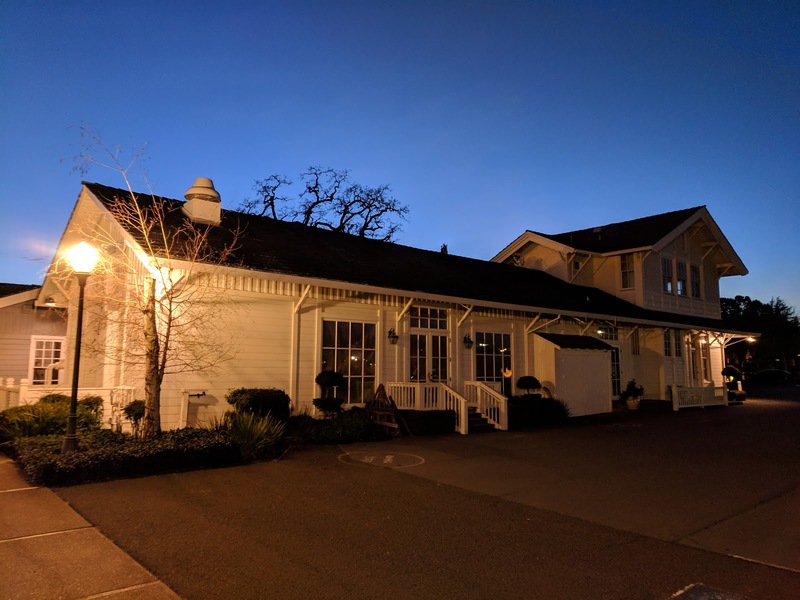 Yountville is a neat little town north of Napa. 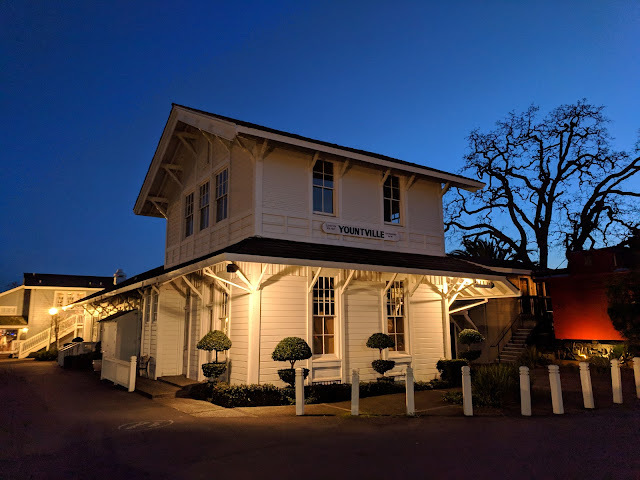 Yes, it's touristy and filled with the usual wine tasting bars, restaurants, and antique stores, yet their train station is neat. 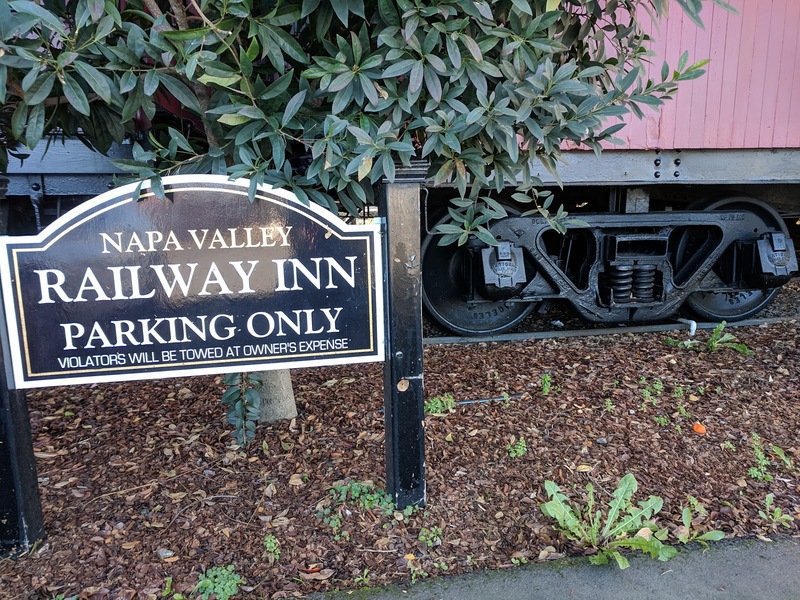 It's no longer served by passenger trains, unless you count the "Napa Valley Wine Train" dinner train. Next to the train station is a row of cabooses that make up the rooms for the Napa Valley Railway Inn. 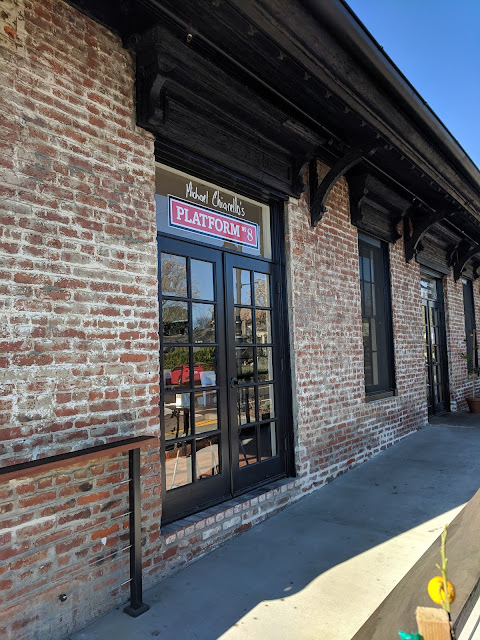 Several stores and restaurants in the area have railroad-related names, which I found amusing.